Choose the gift of colour to shine on a special celebration. Illume Creations Montville features locally made hand crafted glass art and jewellery for every occasion. 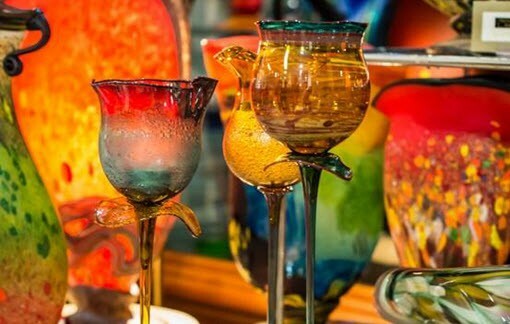 We showcase local artisans’ hand blown glass, lamp work glass, raku pottery, glass beadwork and dichroic jewellery. Come and see our gorgeous unique glass pens which can be made to order for your wedding day. Overlooking the spectacular view to the coast, Illume Creations is open 7 days. Undercover parking is available.